The coffeeshop opened Monday in Shockoe Bottom. 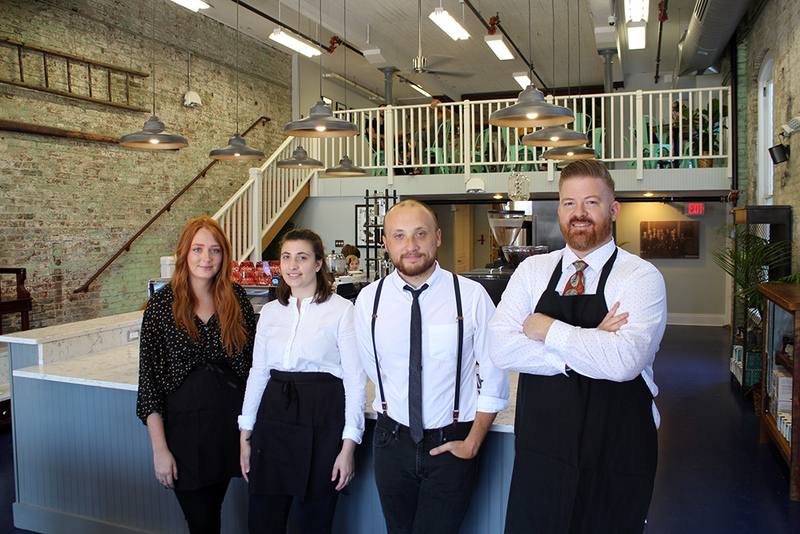 Shockoe Bottom has a new place to get its caffeine fix. Ironclad Coffee Roasters on Monday opened its first full-time retail spot the former firehouse at 1805 E. Grace St. The location joins Ironclad’s Scott’s Addition roasting facility at 2904 W. Moore St., which married owners Ryan and Kelly O’Rourke launched two years ago. Ironclad renovated the old firehouse to have a full coffee bar, and serves goods from local bakeries such as Lark Baking Co. and Pearl’s Cupcake Shoppe. Ryan O’Rourke (far right) and staff. In addition to classic coffee and espresso drinks, Ironclad serves tea, kombucha and nitro cold-brewed coffee. In designing the Shockoe Bottom space, Ryan said they wanted the cafe to have a different feel from the typical modern coffee shop and pay homage to some of Richmond’s history. He added that he hopes to find someone to work and operate the stand, upon which he believes the likes of Frank Sinatra and Elvis once sat. Ironclad has seating on both floors of the old firehouse, as well as an outdoor patio. Full time hours begin next week and will run from 7 a.m. to 6 p.m. Monday through Friday and from 8 a.m. to 6 p.m. Saturdays. 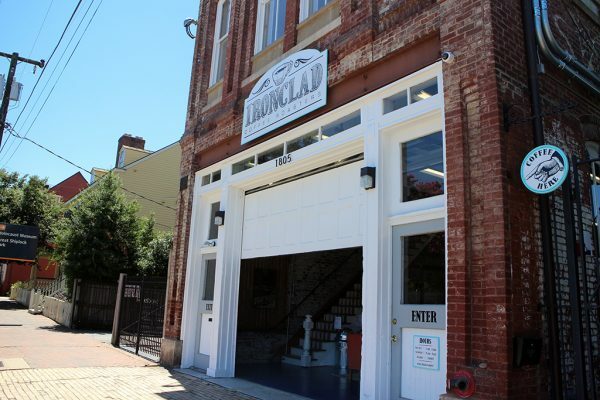 Ironclad is leasing the 2,200-square-foot space. CB Chandler Construction was the general contractor, while Caroline McIlraith and Lustre Home helped design it.